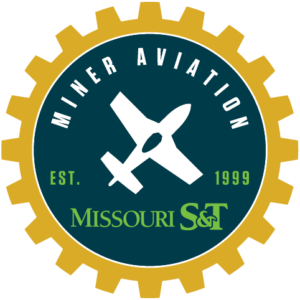 Miner Aviation is making a major change this year to compete in the American Institute of Aeronautics and Astronautics (AIAA) Design Build Fly Competition. This is a whole new beast for the team to tackle and we are very excited to try new things and learn from our mistakes along the way. The Executive Board made the decision in 2018 to switch from SAE to AIAA as the old competition was becoming repetitive and nuanced. Now, Miner Aviation will have a fresh new start to try newer and bolder designs like never before. This competition will bring different challenges and design aspects every year, testing our team's ability to create original designs and develop our problem solving skills. With this year’s design parameters, the “mission task” is for our plane to have aircraft carrier operations. When it comes to the general requirements for the aircraft, the minimum wingspan is 4 feet, must have folding surfaces so it fits in a 3 feet wide and 2 feet high space in the stowed position, and for all the flight missions the aircraft must take off from a launch ramp that is 4 feet wide by 10 feet long (at a launch angle of approximately 5 degrees). A tail hook is also required on the bottom of the plane for a team member to hold on to when the plane is powered up and released for flight. Other requirements for our design to fulfill this mission task include a radome attachment, which is a structure that protects a radar antenna commonly used for object or weather detection, and attack stores that are used for storing loads within the plane. These two additions also have their own specific rules and details. With all the various design requirements, the competition follows a detailed mission sequence for all the tasks our plane must perform. Stay tuned for more updates as we continue our hard work on our design and end product!